We believe that knowing a place is a powerful means of connecting individuals and communities to each other. Place-based learning is transformative, allowing students to learn about the issues of the world through their own unique experiences, relationships, emotions and cultural legacy. It provides inspiration, real-life challenges, and a space to learn and grow that cannot be replicated in a traditional classroom. 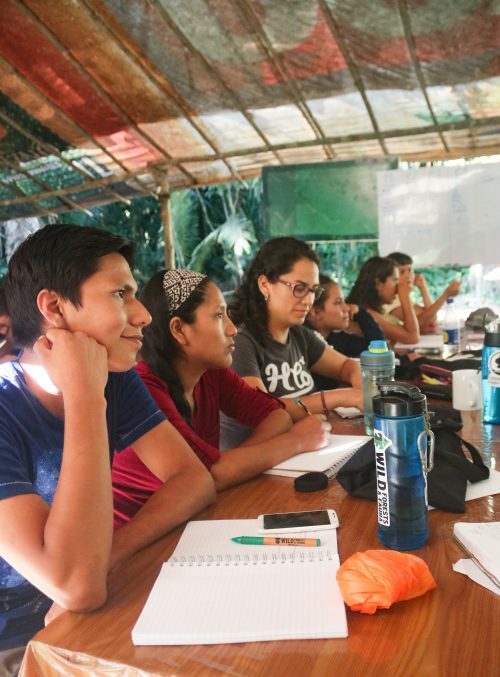 This year’s Future Leaders (or Innovadores as they call themselves) were lucky to spend a full 7 days at the Las Piedras Amazon Center (LPAC), located deep within the Peruvian Amazon and free of any distractions of urbanized living. During that week, LPAC would be their experimentation ground to explore hopes and ideas for a future of sustainability in Madre de Dios (MdD). By forming a personal connection with the rainforest, our Future Leaders would begin to understand why this particular place matters to them as well as to future generations. Classes were focused around the three main themes of the Future Leaders program, environmental stewardship, sustainable business, and ecology—the pillars we think will best equip our Future Leaders to contribute to their region’s sustainable development. Like all the summits before this, Day One began with a self reflection on each individual’s personal goals. This was followed by an engaging leadership workshop led by Liz, allowing them to get to know themselves better as innovators, and talk about their qualities and skills. Varun led our Future Leaders in discussions about ecosystem science, the importance of individual plants, and also about why MdD is a globally significant biodiversity hotspot. Those that had never been to the forest were especially amazed at the intricacies of the ecosystems and how it all fit together. 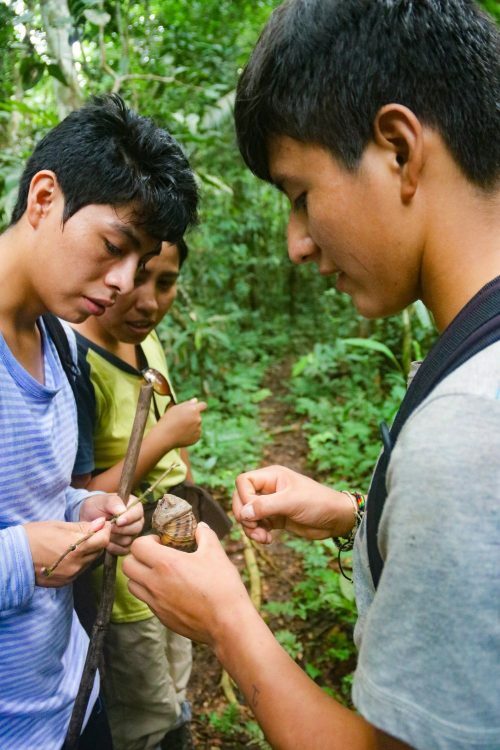 These classes were especially effective at LPAC, as participants were living in the forests they’re trying to protect, and they could touch and experience what they were learning about first hand. Jason led discussions on the importance of conservation and sustainable development in the age of the Anthropocene. These classes provided powerful context—why the conservation of MdD and its biodiversity affects them personally and for the global community. Sustainable business classes led by Liz showed our Innovadores how to create a business in harmony with nature, and equipped them with skills in market creation, finance, management and leadership (including how to give a good presentation), and driving change. Being in the forest also meant that there were numerous opportunities for our Future Leaders to work with local communities. 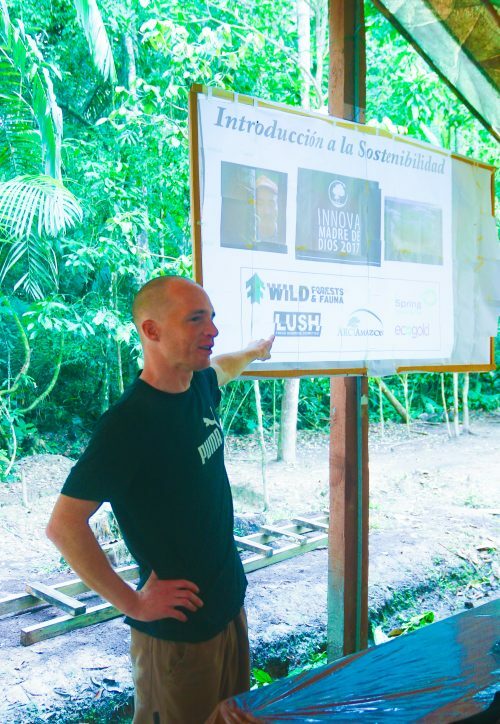 Cross-cultural learning took place on a visit to Hoja Nueva, where participants learned about this US NGO’s efforts to increase local incomes through sustainable shade grown cocoa. Currently, the community is growing cocoa that requires sun and deforestation. The goal of Hoja Nueva is to introduce to experiment with new approaches where cocoa can be grown in the forest rather than needing to cut the forest down. 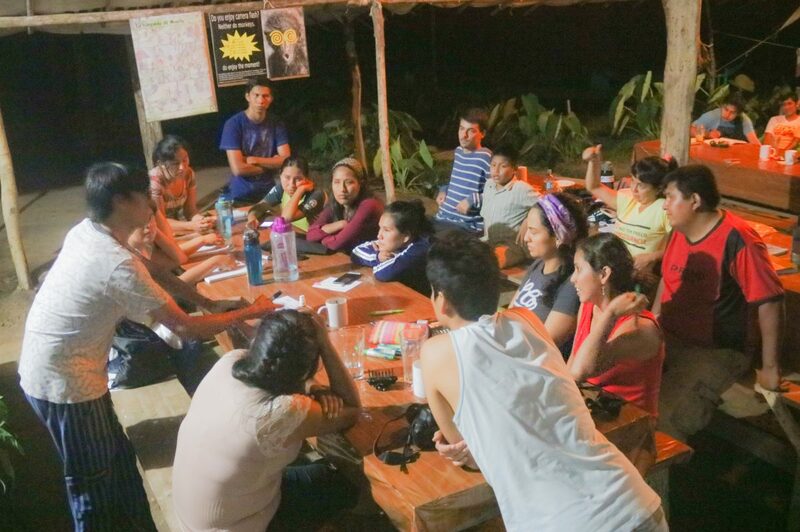 It was fantastic to see how dedicated and enthusiastic they all were about ensuring a sustainable future for Madre de Dios, and the first night of the summit previous participants shared the success, challenges and experiences of the Innovadores network over the past 4 years. This created a base for them to work from, and they then worked on their own vision and mission collectively for several evenings. They are now discussing next steps for the Innovadores network. Another benefit of spending a full week in the forest was that everyone there (LPAC staff, the cooks, volunteers, tourists, and of course our Future Leaders), shared the same values and interests in forest conservation and sustainable development. It was clear that the reinforcement of these values from different angles and cultures was important for the personal growth and confidence building of our Future Leaders and the broader LPAC community. 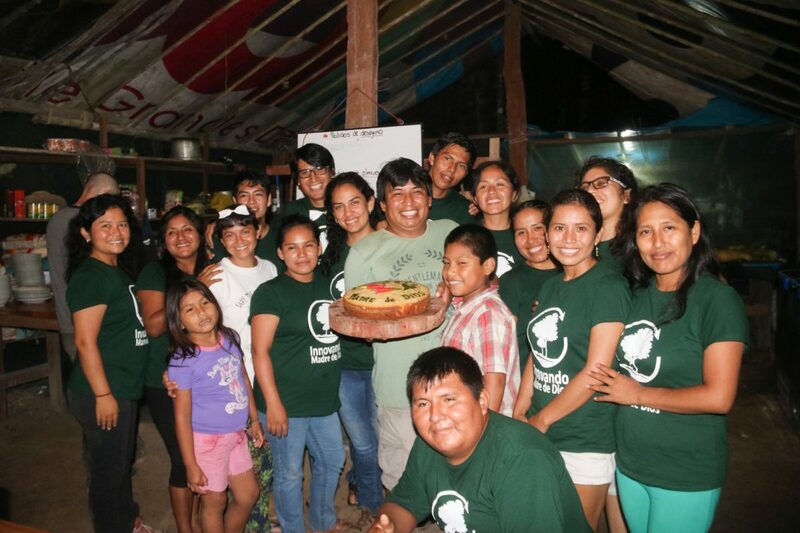 It’s fantastic to see the difference our Future Leaders program is making to the lives of young Peruvian innovators, who feel empowered to create a sustainable future for their country, both for forests and people. In enabling our Future Leaders to understand the place which they are working to protect, we also enable them to find lasting, inclusive, and practical solutions for sustainable development. If you like what we’re doing, please consider donating to Wild Forests & Fauna! In addition to contributing to Future Leaders Summit 5 in 2018, your support allows us to continue to protect wild forests and local communities worldwide.